Are you looking for unique handpainted tiles for your kitchen or bathroom? I am an overglaze artist with over 25 years experience painting on porcelain and ceramics, including tiles. I can help you realise your dream kitchen or bathroom. 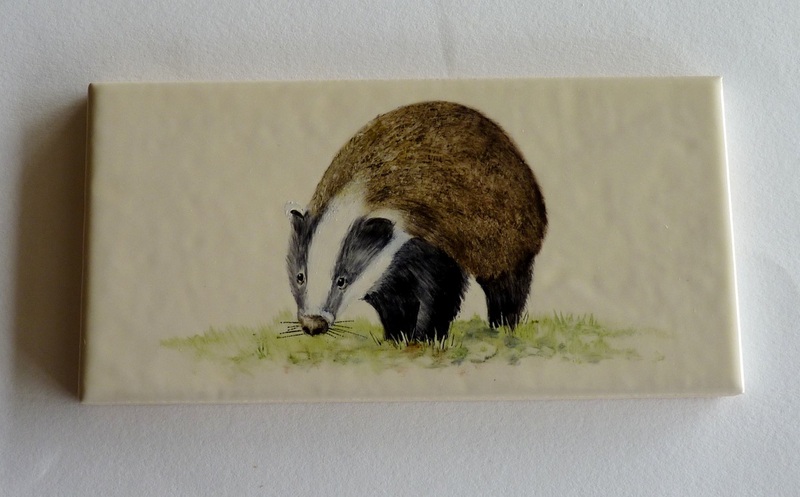 I can paint individual tiles, or tile murals with your own subject of choice. Wildlife, farm animals, country scenes and landscapes are my specialities. How your tiles are painted. I paint on ceramic tiles using overglaze enamels which are fired in a kiln to 800 Centigrade. The glaze softens and the colours bind to the glaze becoming permanent. The depth of colour is built up over several firings to achieve the desired effect. 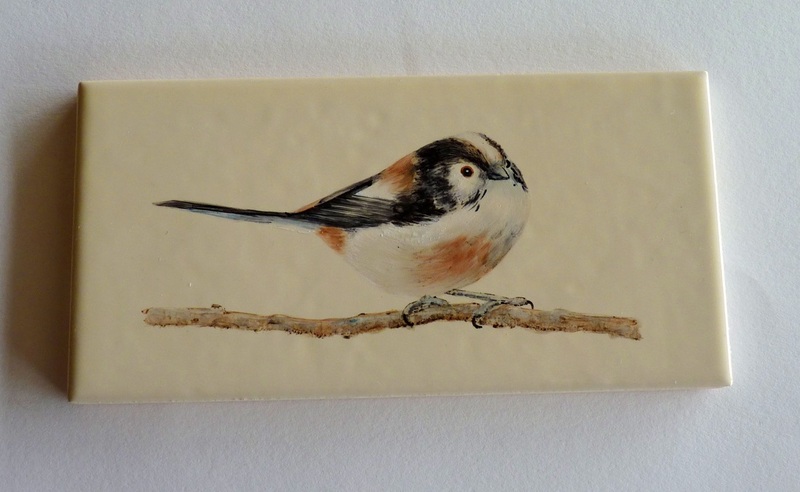 I paint on your tiles so you have the flexibility to choose the tiles you like for your kitchen, however the tiles should be light coloured, white or cream are most suitable. Once you have chosen your tiles you send me a sample tile to test fire. If the test fire is successful you then send me the tiles you would like painted. 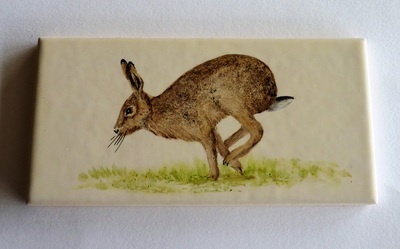 When I have painted your tiles they will be carefully packaged and delivered to you. 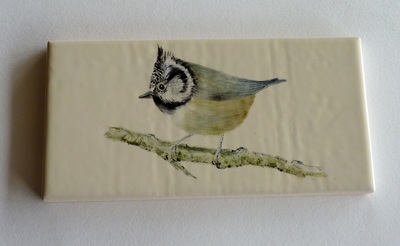 Prices starts at £30 per tile depending on complexity of design, tile size etc.